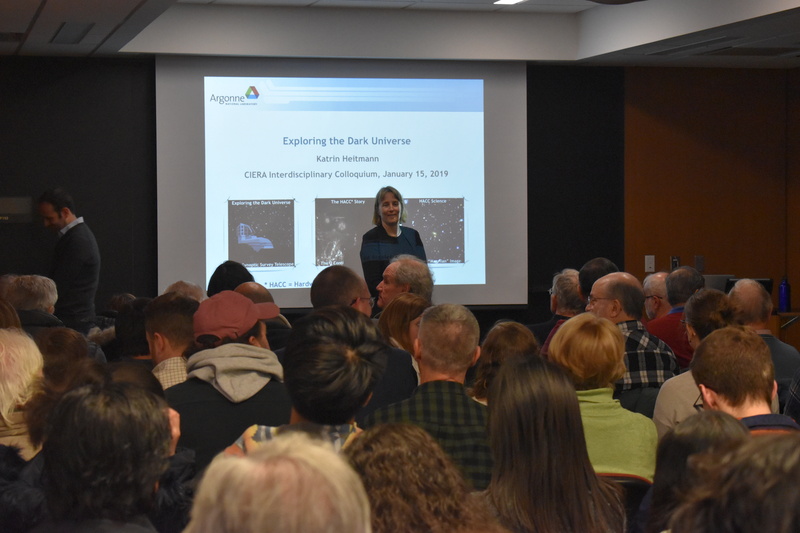 Physicist and computational scientist at Argonne National Laboratory, Dr. Katrin Heitmann presented her talk, Exploring the Dark Universe, as part of CIERA’s Interdisciplinary Colloquium series. 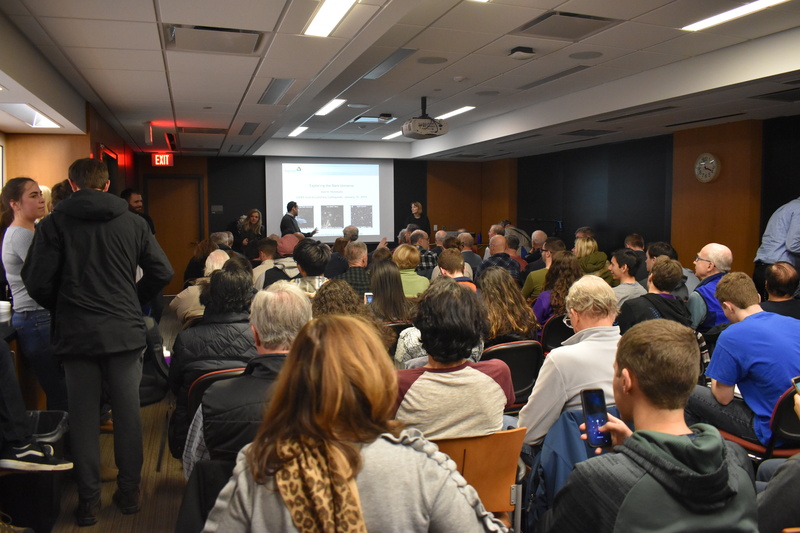 Hosted by Professor Claude-André Faucher-Giguère, over 100 people attended the event Tuesday, January 15. 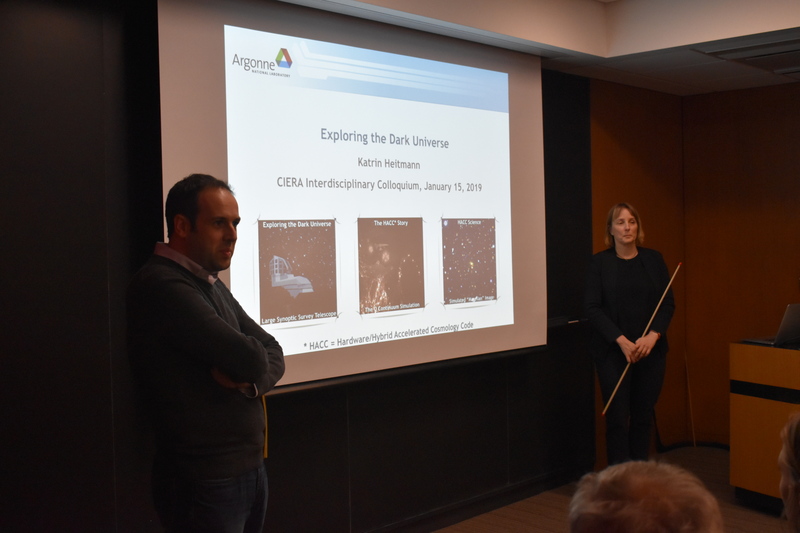 Heitmann’s talk explored the dark universe and upcoming challenges in studying the topic. Such observations would collect massive amounts of data (greater than a hundred petabytes), and would prove difficult to model certainly and to interpret. The interpretation of the data would require sophisticated simulations on the world’s largest supercomputers, and would be costly. With only one Universe to observe, it’s not possible to carry out controlled experiments when conducting these studies. Combining these factors, the endeavor will create a significant test for statistical methods of data analysis. Heitmann discussed an ambitious end-to-end simulation project that attempts to provide a faithful view of the Universe as seen through the Large Synoptic Survey Telescope (LSST), a telescope currently under construction. She also described how complex, large-scale simulations will be used in order to extract cosmological information from ongoing and future surveys.